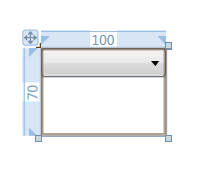 This came up as a Windows Forms question a short while ago. Someone wanted to create a data bound ComboBox and have a relevant tooltip appear whenever the user hovered any of the items in the list. The strings for the tooltips would be stored in the database along with all the other data. I’ve seen the proposed WinForms way of creating this result and, although I‘m sure it works fine, it really did look like a very complicated way of solving a relatively simple request. My immediate reaction was to think that there is probably an easy way of producing this result in WPF and hosting the resulting ComboBox-With-Tooltip control inside a Windows Form. 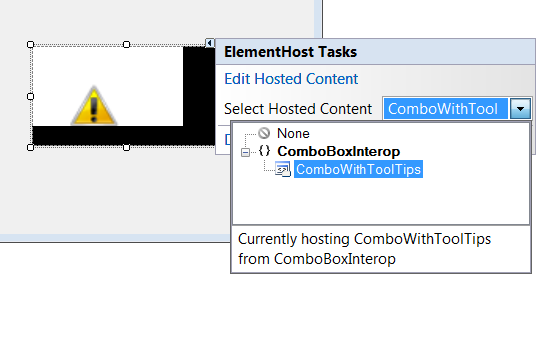 The above screenshot is from a WPF application, but the task requires for the ComboBox to be hosted in a Windows Forms application, so let’s deal with that first. 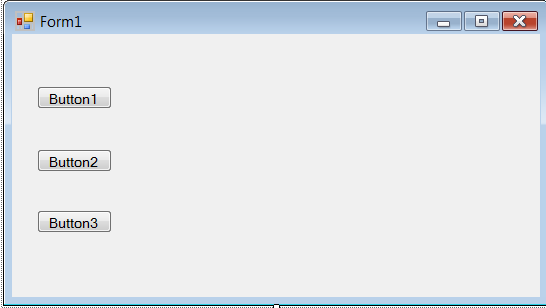 Start a new Windows Forms Application. 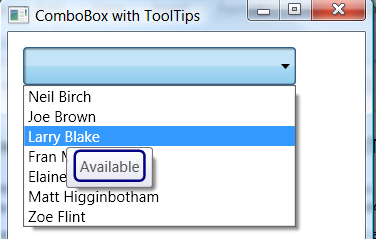 In Form1, add some WinForms controls of your choice. I have added three buttons. 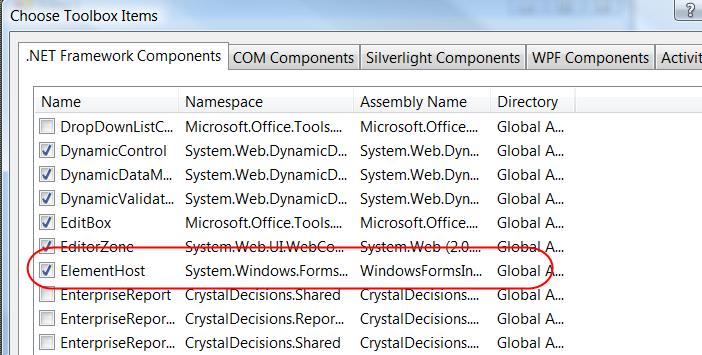 They have no functionality and I only include them to emphasise that you can have WinForms and WPF hosted content in the same Form. 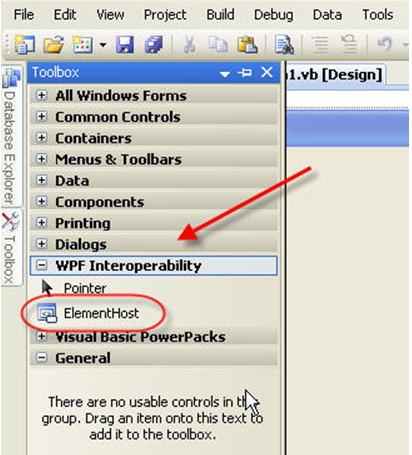 If you are using VB 2008 Express Edition, you should find a tab named ‘WPF Interoperability’ in the Toolbox. Inside this tab there will be control named ElementHost. Drag this control from the Toolbox and drop it on to your Form. The smart tag will invite you to select the hosted content (currently set to none). As you haven’t created the content yet, just click anywhere on the Form’s surface to close the smart tag dialog box. 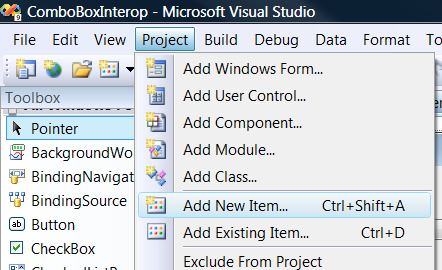 To add a WPF UserControl to the Windows Forms project, Select Project > Add New Item… from the IDE main menu. 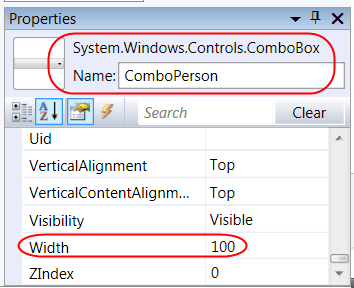 In the Add New Item dialog which appears, select WPF from the categories list, then click on User Control (WPF). Assign a name of your choice to this new user control. Adding this WPF User Control automatically causes some new References to be added to your project – most notably PresentationCore and PresentationFramework. These are core WPF namespaces. 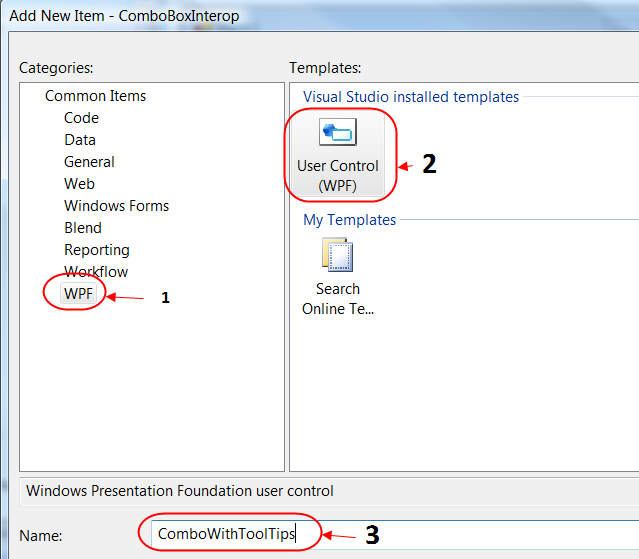 If you select the UserControl by double clicking on it in the Solution Explorer, you will see that the Toolbox has now changed and you are offered a list of WPF controls instead of the Windows Forms ones. Now that you have a UserControl built, you can assign this to the ElementHost previously added to the Windows Form. Rebuild the project to ensure that the UserControl is fully built. Select the Windows Form and click on the ElementHost. Click on the smart tag arrowhead and you will see the ElementHost Tasks dialog. Click on the dropdown arrow at the right hand side of the ‘Select Hosted Content’ combo and you will see that the new UserControl has now been added to the list. Select this control, then click anywhere on the Form to close the smart tag dialog. You will probably see an exclamation mark icon inside the ElementHost, possibly with some additional text, depending on the size of the host. Although this may make you think there is a problem, the UserControl will in fact display OK at run time. If you want to test things so far you can hit F5. The WPF ComboBox will be visible and will drop down when its arrow is clicked Of course as we haven’t bound the data yet or finished the look of the ComboBox there will be nothing to see. I’m not going to look at this class in detail because it isn’t really part of the ‘ComboBox with ToolTips’ concept. As I’ve mentioned, it doesn’t matter how you get the data, so long as it has two public properties you can use. The code snippet above creates an empty List (Of Person). When the user control is loaded, it then accesses the GetPersons function in the Person Class and populates that ComboData List with the details of the seven Persons. The final code line sets the DataContext of the user control to that List. This automatically links all the data in that List to any control or element inside the user control that wishes to be bound to it. You will see this data binding in action next.